Elsewhere she writes that ‘Iceland is a verb and its action is to centre,’ suggesting that she is interested in Iceland’s affect rather than its spectacular tourist appeal. Shaped by volcanic activity, Iceland’s geography and geology is continually changing, and given the importance of mutability to her thinking, it is a place to which Horn is deeply attracted: ‘Iceland is always becoming what it will be, and what it will be is not a fixed thing either.’ She is also fascinated by the changeable and dramatic weather, and by the way that the language used to describe weather so often suggests moral and sexual aspects of humanity as well. 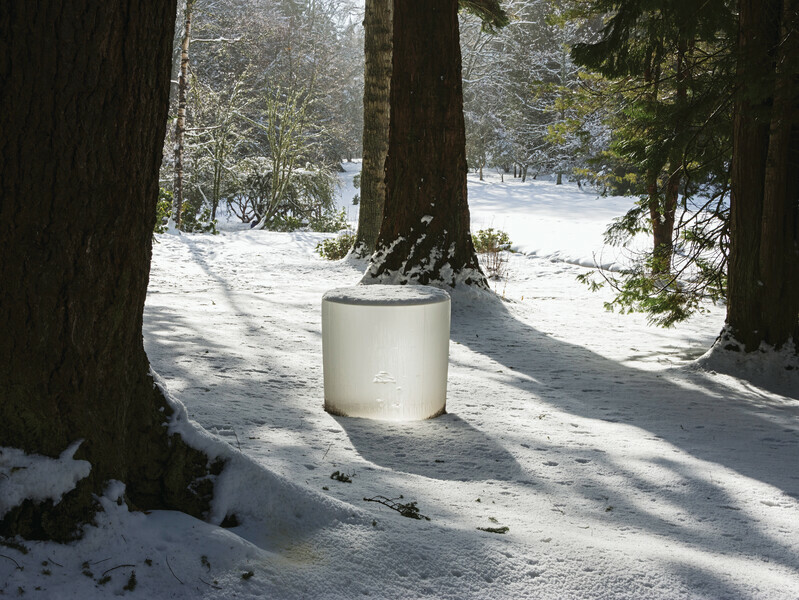 In the wake of this sort of a ‘landscape imprinting,’ until the first day of January 2017, at Fondation Beyeler, Horn’s sculptures made of cast glass, photographic installations and works on paper address issues such as the changeability of nature and human identity and encourages a reflection on the relationship between the inner emotions of a subject and the surrounding landscape. Transiency and inconsistency of the real play a pivotal role in the artist’s practice, so that her works are often presented in pairs or series of similar elements revealing almost imperceptible differences. 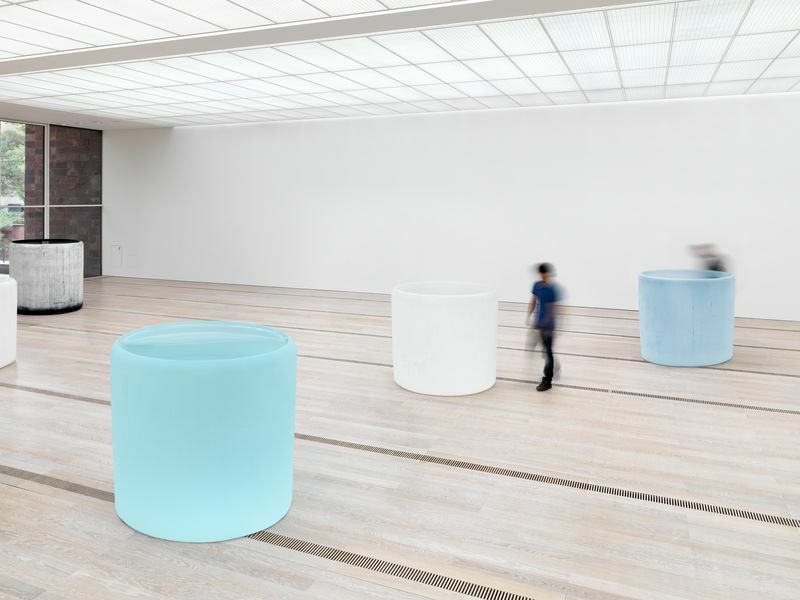 Roni Horn makes art that is not only wide open to a one-way interpretation, as mere examples of her long career, featuring groups of works and series she has created over the last twenty years. It is work that is sensitive to the shifting moods of the viewer and can be embedded into daily experience. Drawing on references that are high and low, ethereal and eternal, Horn looks to photographic installations as one example of how viewers can engage with her work. New works, presented at Riehen for the first time, becomes woven into the fabric of everyday life over time. It quickly fades into the background, but it can also function as a symbol of a multifaceted and unique portrait people love or hate, ignore or congregate around. Often it serves all of these roles simultaneously, as the curator of the exhibition, Theodora Vischer, Senior Curator at the Fondation Beyeler, properly underlines. Conceived as a total installation, six environmental interventions boast Roni Horn’s most meaningful bodies of works. ‘Still Water’ (The River Thames, for Example), for example, which was completed in 1999 and which has been loaned by the Kunsthaus Zürich, is also an individual impressum of a river. 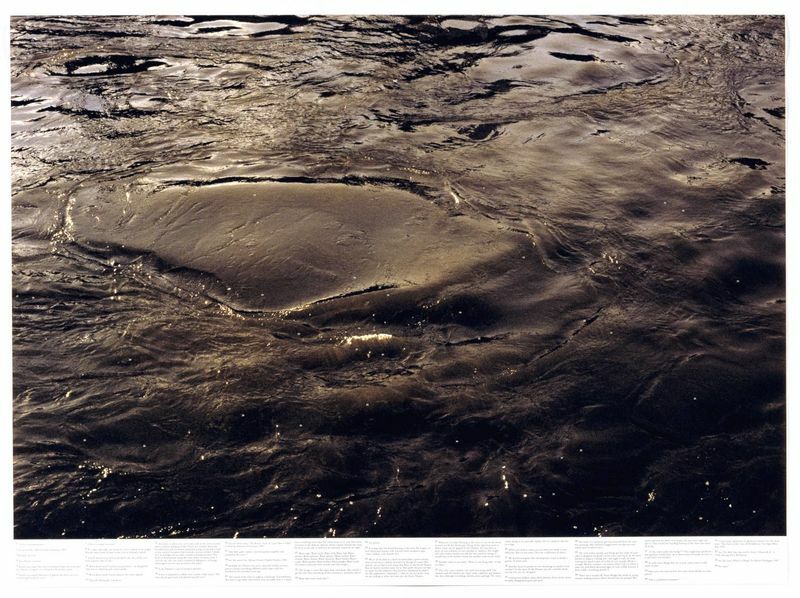 By means of fifteen photographs of the Thames’s surface, the colour and structure of which are never the same, as well as short passages of text, Roni Horn addresses the stories, moods and memories of the River Thames. 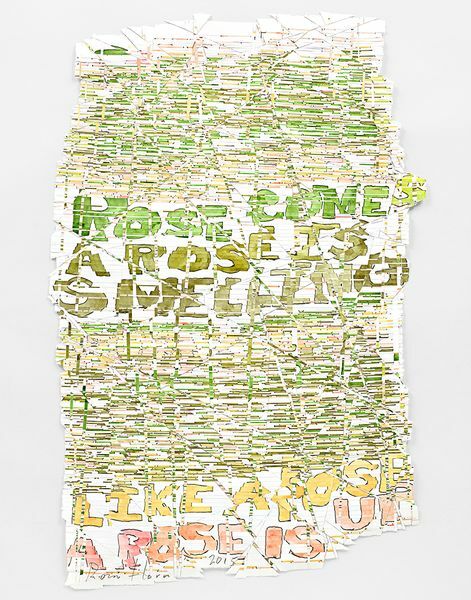 But one of the most precious, unexpected insight at Beyeler, is ‘Th Rose Prblm,’ (2015–16), which demonstrate Roni Horn’s creative engagement with language and literature, are drawings of a different kind. The process of cutting and assembly is the same, but the initial pictures here are water colours of phrases in which the word ‘rose’ appears. For ‘Th Rose Prblm,’ Horn breaks up these phrases and rearranges the parts into a total of 48 coloured, often slightly bizarre textual meanings. Filling an entire room, a veritable rose garden awaits visitors. 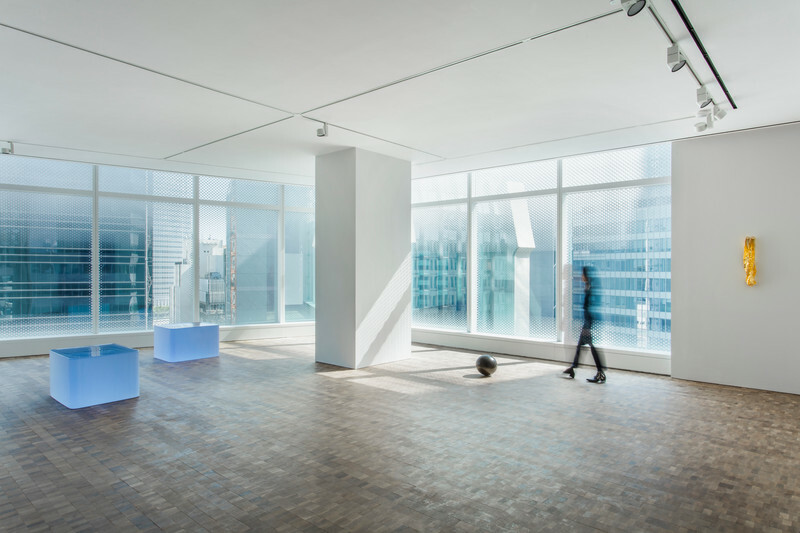 Two extensive photographic installations, ‘a.k.a.,’ (2008–09) and the new work ‘The Selected Gifts, (1974–2015),’ 2015–16, show Roni Horn’s engagement with the simulacrum of portrait. In the first case, she alludes to the multiple aspects of a person’s identity through an idea of potential and possibility as interpreted by a layman’s read of astrophysics and theoretical physics. If more than one universe exists and if string theory opens the door to more than four dimensions, how does that affect our conception of what is real or possible? For Roni Horn, an acknowledgement of multiple universes, human identities and dimensions allows her work to be a more accurate response to the powers that be, whether they are laws of physics or higher beings.